MSL is committed to doing business in an open, fair, honest and ethical manner. We also believe that successful companies should contribute to the communities they operate in, so we support a wide range of charities across the UK. help to protect the environment through sound stewardship. For example we source our timber products according to Forest Stewardship Council (FSC) or similar accredited scheme guidelines and maintain a fuel efficient and emission friendly van fleet. Overgate Hospice is close to our hearts. MSL is a corporate sponsor and staff have been a regular fund raiser, including taking part in midnight walks & quizzes to help the vital work they do in the local community. In respect of money raised at our bi-annual Safepartner conference held in Leeds the lighthouse charity nominated MSL as one of their champions for the charity. We support Age UK’s fundraising activities by donating items on an ongoing basis for sale in their charity shops and for recycling. Most recently MSL staff completed the Tough Mudder challenge. Read more here. Andy Thomson completed a London – Paris bike ride in 2015, raising funds for British Heart Foundation. Two of the braver members of the MSL team, Andy Thomson & Caroline Murphy, raised funds for the British Red Cross by abseiling 197 feet down the Trafford Centre bell tower in Manchester. MSL managing director Jeremy is always up for a challenge. 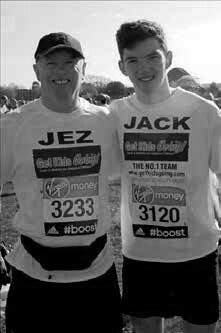 In 2014 he ran the London Marathon with his son Jack in support of Gets Kids Going, a charity that uses sport to help and encourage disabled children. MSL staff got active in the spirit of Sport Relief by undertaking a mammoth sponsored walk up “Trooper Lane” in Halifax. Climbing 137m with an average gradient of 18% from top to bottom, this was both a challenge and good fun for staff. Staff did a days work dressed in Pyjama’s in order to raise funds for Children in Need. There were some hot faces afterward! Hosting fundraising coffee mornings in aid of Macmillan Cancer Support is a regular feature of the MSL social calendar, which regularly includes an MSL ‘bake off’ with finalists competing for the award of ‘MSL master baker’. Gents of MSL got together to raise money for Movember – something we will continue with in years to come. 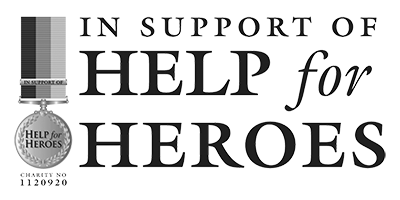 MSL proudly support Help For Heroes, completing a 536 mile virtual bike ride from their Halifax office to The Olympic Stadium in London following parts of the Olympic Torch route in 2012 to raise money for both Help for Heroes and MacMillan cancer support charities. Together with 2 fellow masochists, Jeremy Harrison completed the British 3 peaks challenge by climbing the three highest peaks in the UK, raising money for this great charity in the process. Two year old Ava was diagnosed with a rare form of cancer – hepatoblastoma – and required a life-saving liver transplant. 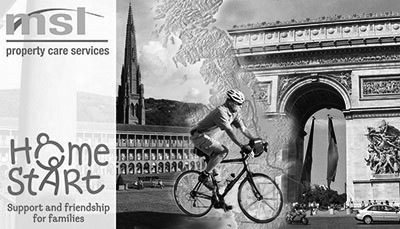 MSL provided a support vehicle for a 900 mile sponsored bike ride from one end of Great Britain to the other – John O’ Groats to Land’s End. Home Start UK is the UK’s leading family support charity. 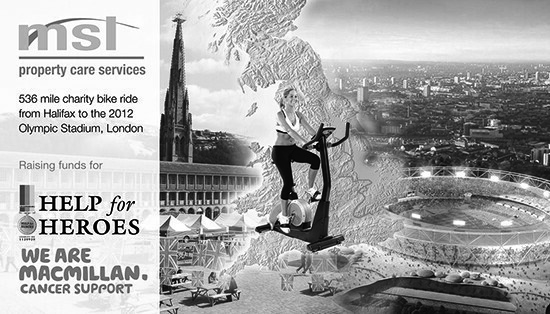 MSL staff completed a virtual bike ride from Halifax to Paris, using exercise bikes kindly donated by a local gym. MSL staff, aided by volunteers from Home-Start, cycled in a continuous relay for 28 hours on a static bike in their offices.